The mosque is one of Islam’s most important religious sites, to which all Muslims face while praying. The sections being destroyed date back to the Ottoman and Abbasid period and are the last remaining parts of the compound that are more than a few hundred years old. “One column which is believed to have been ripped down is supposed to mark the spot where Muslims believe Muhammad began his heavenly journey on a winged horse, which took him to Jerusalem and heaven in a single night,” The Independent reports. It is not surprising that commercial interests are flocking to the city: Approximately 2.4 million pilgrims visited Mecca in 2008, and some estimate that the number could rise to 20 million within the next few years. But developers and retailers have found an unlikely ally in Wahhabi clerics, who consider the veneration of historical sites to be a form of idolatry, and are happy to see all them demolished. A pamphlet published last year by the Ministry of Islamic Affairs, endorsed by Abdulaziz Al Sheikh, the Grand Mufti of Saudi Arabia, and distributed at the Prophet’s Mosque, where Mohammed, Abu Bakr, and the Islamic Caliph Umar ibn Al Khattab are buried, reads, “The green dome shall be demolished and the three graves flattened in the Prophet’s Mosque,” according to Irfan Al Alawi, executive director of the London-based Islamic Heritage Research Foundation. This shocking sentiment was echoed in a speech by the late Muhammad ibn Al Uthaymeen, one of Saudi Arabia’s most prominent Wahhabi clerics, who delivered sermons in Mecca’s Grand Mosque for over 35 years: “We hope one day we’ll be able to destroy the green dome of the Prophet Mohammed,” he said, in a recording provided by Al Alawi. 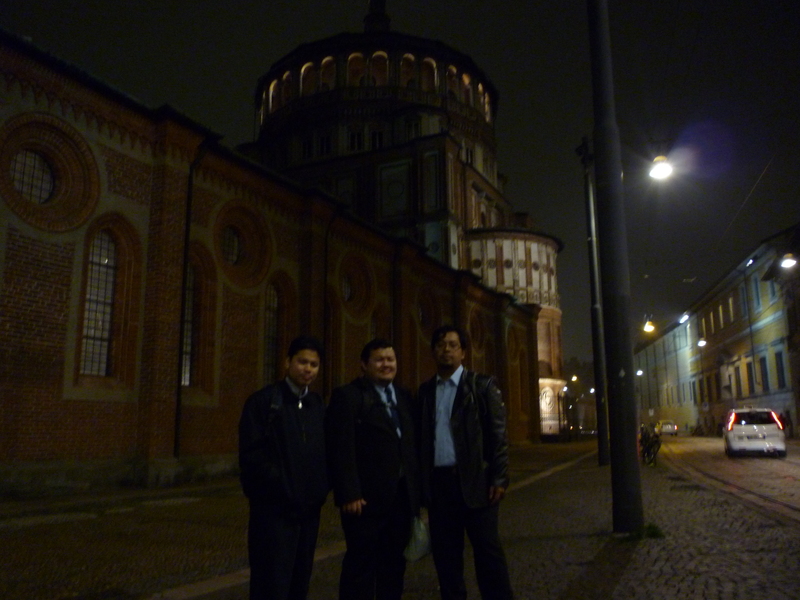 With Dr. Nizam and Dr. Syahmi in front of the Monastery of Santa Maria delle Grazie, Milan, Italy (The world famous painting of Leonardo Da Vinci’s Last Supper is inside this building). This post makes me almost crying.